This is the plan for the cover of my next book (which I am writing very slowly and incompetently). What do you think? 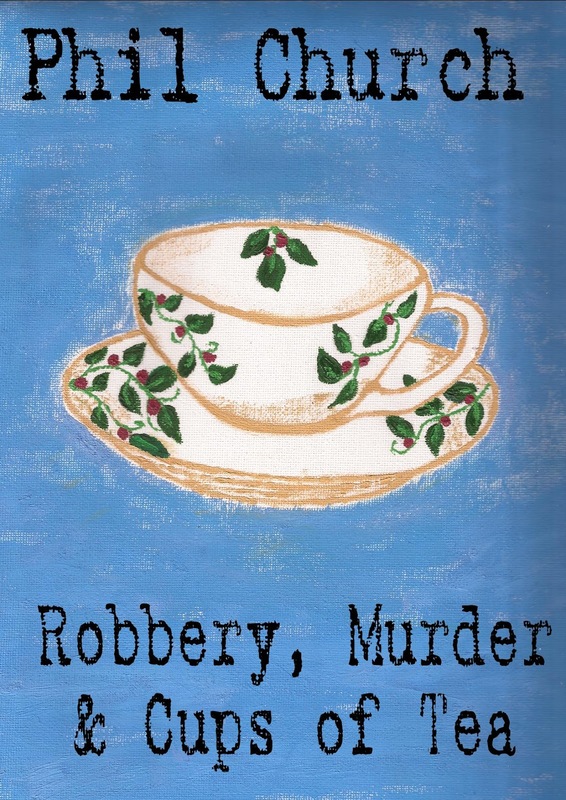 It's a crime/humour story set in an English village. I like it! Certainly it is better than one for 'Thrift', and that didn't stop me buying, reading, and enjoying!! I think it's very quaint and charming. It reminds me of Miss Marple. That's pretty good. I'd buy it. As long as it's followed by an afternoon scone and buggery I'd buy it. Like it, how about a teaspoon dripping with blood, on the saucer. What about a biscuit in the saucer? What about a smaller cup and saucer and a plate of scones with jam and cream/ only the jam being BLOOD!